Saloon on one side, cafe on the other. Right on South Highway 101, the Blue Moon caters to your down-home drinking and dining experience. The Blue Moon has it all. Their convenient and central location in Coos Bay, Oregon is an easy stop for locals as well as travelers making their way down Highway 101. With two separate sections, patrons can enjoy a stiff drink in the saloon or bring your family into the cafe for some of the best breakfast in town. 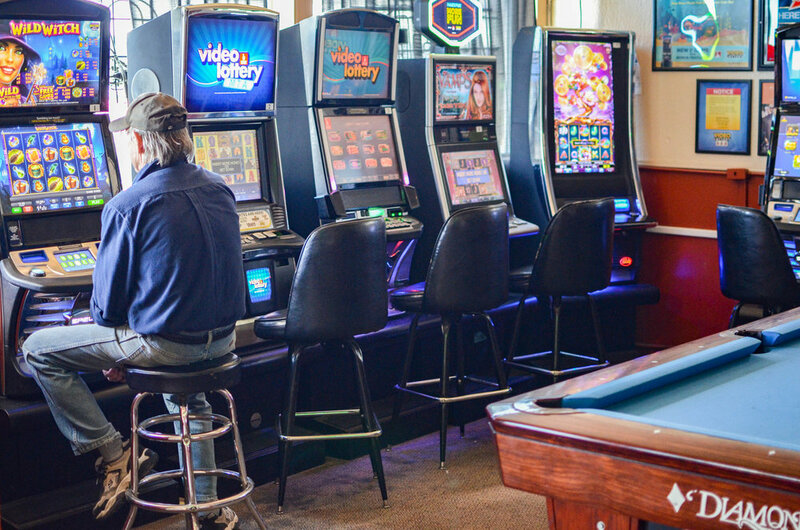 The saloon boasts a music venue with karaoke nights, pool table and video lottery machines. Initially opening its doors in the fall of 1987, the Blue Moon is now under the ownership of Michael Collins and Melanie Spivey-Broadwell. You’ll find the couple on most mornings either serving out dishes, mingling with customers or keeping up the building. No hands-off management here. That’s what one can expect at this authentic small-town cafe. Includes three eggs, hash browns or home fries (O'Briens add .75) and choice of toast, English muffin or homemade biscuit. Served with all the fixings and choice of French fries or potato salad. Served with French fries, coleslaw and garlic toast. The Blue Moon offers a full service bar with a wide range of spirits, beer and wine. We can mix up your favorite classic cocktail or try our house specials.